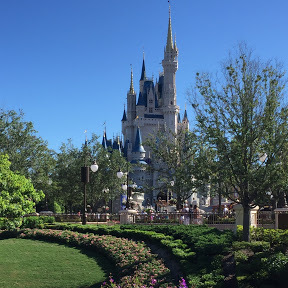 Sunshine Seasons | It's "All in WDW"
Sadly, one of the best Quick Service venues on Disney property is starting to make a habit out of disappointing Mrs. All in WDW. Never a good thing to do, Epcot, I can assure you. Yummy looking, huh? Well, it was one of our Epcot morning “go to’s”. 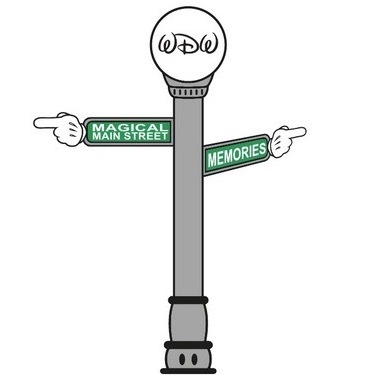 Unfortunately, it disappeared months ago. Having said that, we keep searching for it! Of course, Sunshine Seasons is much too good of a spot to discard it simply for the loss of a baked delight. In fact, one of Mrs. All in WDW’s favorite lunches lives (lived?) there as well. She subbed in a delicious-looking pile of green beans for the restaurant’s advertised mashed potatoes, barbecue sauce, and corn on the cob. She loved every bite! Then, we went to the Festival of the Arts last month. While I was scurrying around World Showcase, she slipped over to Sunshine for the “chop”. My friends, it paled in comparison. Being boneless, it wasn’t as flavorful. Plus, it was a shock to see it so different than the serving she had received mere months before. 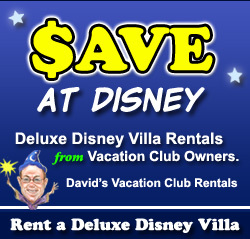 Like I said, Sunshine Seasons is one of the best Quick Service venues on Disney property. Mrs. All in WDW and I will be back. We may even order the pork. As we know, folks, change is inevitable. Sometimes, though, depending on the tastes of any particular Guest, change can be quite disappointing. It’s too bad, but it’s true. OK, enough with Disney Springs for the moment, yes? Hah! I just realized that four of my last five posts were dedicated to “downtown”! Time to visit somewhere “new”! On our last trip to “The World”, I couldn’t resist one last cruise through Food & Wine. Pork sliders, lamb meatballs, scallops, pork belly, and pierogi. Yum! Now, Mrs. All in WDW, on the other hand, had something else in mind. She made a beeline for one of our favorite quick service venues – Future World’s Sunshine Seasons! What did she have on her menu? 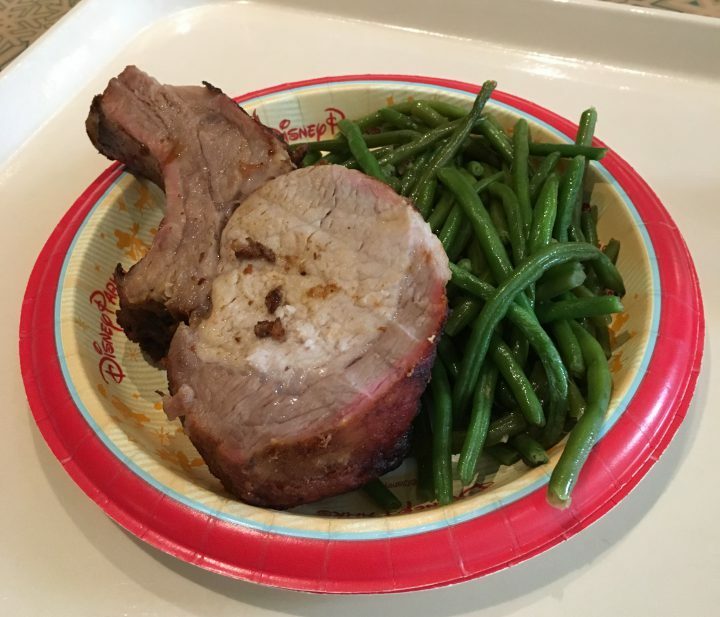 Sunshine’s $13.99 Slow Roasted Pork Chop is one of her overall favorite WDW meals. 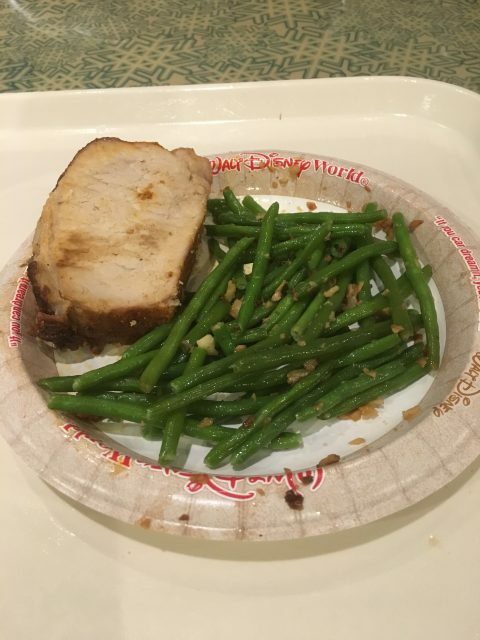 Normally served with mashed potatoes, barbecue sauce, and corn on the cob, Mrs. All in WDW chose to sub in a delicious-looking pile of green beans. She loved it! My friends, back in 2014, we all elected Sunshine Seasons as our Favorite WDW Parks Quick Service Restaurant! With meals as good as this, it’s an honor well earned. 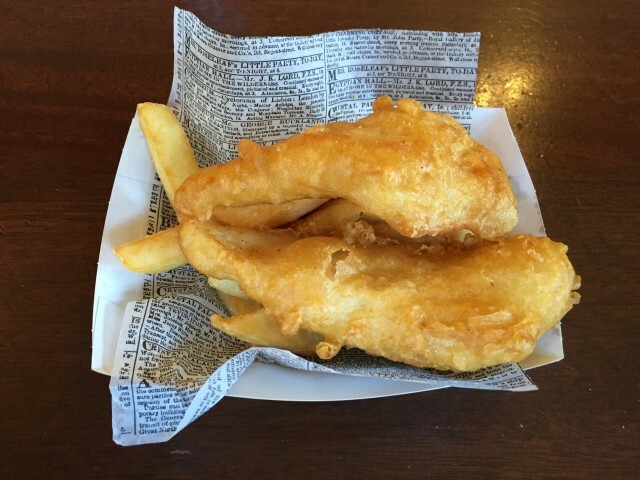 When you find yourself in Epcot – hungry for a quick and relatively inexpensive meal – take a stroll in the “sunshine”! 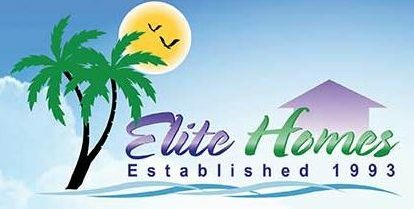 Visit Sunshine Seasons. You won’t be sorry! What’s “Living” in The Land?! Good morning, my friends! How are you! Sorry for the longer-than-usual absence. If you missed it on my personal Facebook account, Mrs. All in WDW and I were up in Ohio celebrating with our son and his fiancee. Why? Well, he learned on Friday that he’ll be doing his Emergency Medicine residency at Vanderbilt University in Nashville, Tennessee! While a milestone for the family! It, of course, had to take priority over Disney! Anyway, today, we get back to business! A simple query for you … with so few activities “living” in The Land, at present, what’s most likely to bring you to visit that formerly jam-packed pavilion? 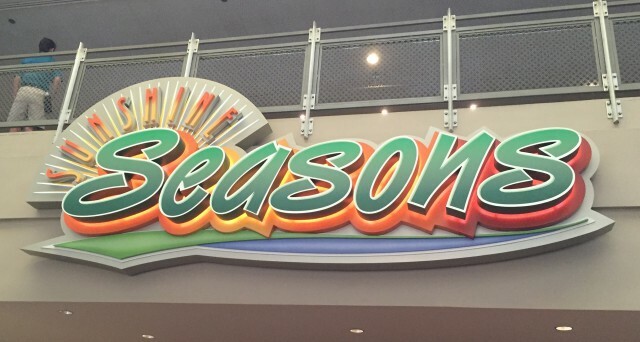 Would it be Sunshine Seasons for lunch or dinner? Take note, a cooked breakfast is not available as long as Soarin’ is being revitalized. … or, its partner, but paid, experience – Behind the Seeds? Finally, would only a character meal at Garden Grill prompt you to prioritize a visit? Let us know, my friends! Just respond to the survey poll below! Not much to do in The Land, these days, folks, but I have to admit, plenty of people still drop by to see “what’s up”! Mrs. All in WDW and I make a great team. Sharing is the name of the game … especially when it comes to sweets! Now, this is our kind of breakfast! 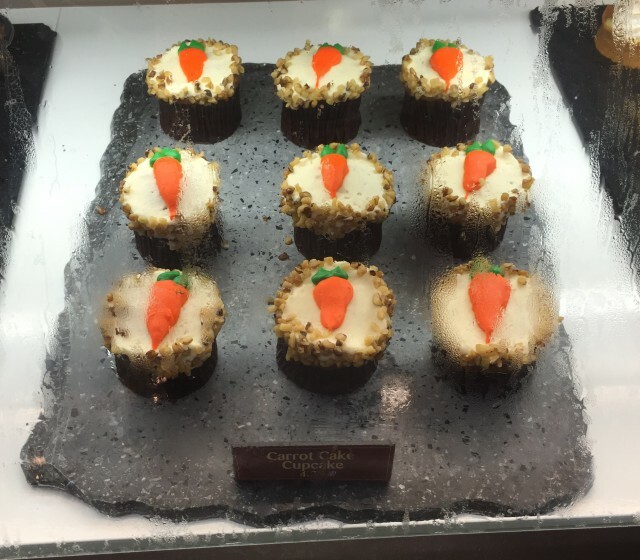 Found at Sunshine Seasons in The Land pavilion in Epcot, we present a Carrot Cake Cupcake and an Apple Caramel Crunch! 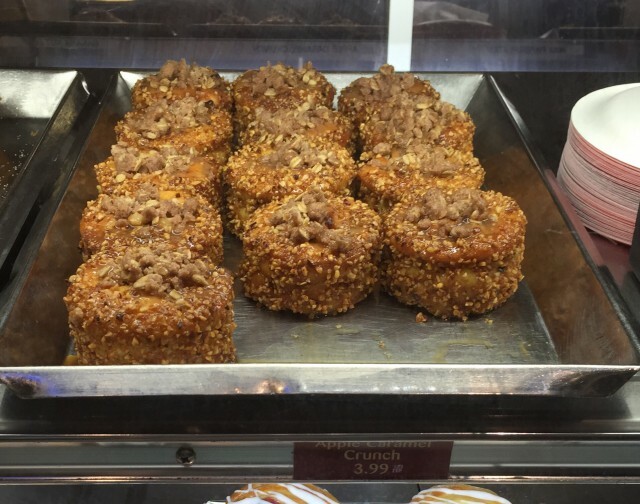 In Mrs. All in WDW’s own words, “One of the best pieces of carrot cake I’ve ever had, but I’d still pick the Apple Crunch first”! Take it from her, folks. She knows what she’s talking about! There’s a lot to find at Sunshine Seasons, my friends. Breakfast, lunch, or dinner, you can’t go wrong!